We are now in full swing for the summer race season! Another Ironman® distance race for TeamEN is at IM Coeur d’Alene led by our very own Co-Captains Paul Scholz and Robin Clevenger . This group has been fired up for months and they are more than ready to tear the course up. Here are just a few of the rock stars representing TeamEN this year. I am Robin Clevenger, 46 years old from Eugene, OR. I’ve been a triathlete for 26 years, ever since my college swim coach made everyone on the team do a triathlon for cross-training. I love the sport and have been hooked ever since, usually doing Sprint, Oly, and HIM races most years. This is my 2nd IM (I’ve done Florida in 2006) but 3rd IM training cycle (I had a DNS due to an illness before IMC) and I am really looking forward to the beautiful course. 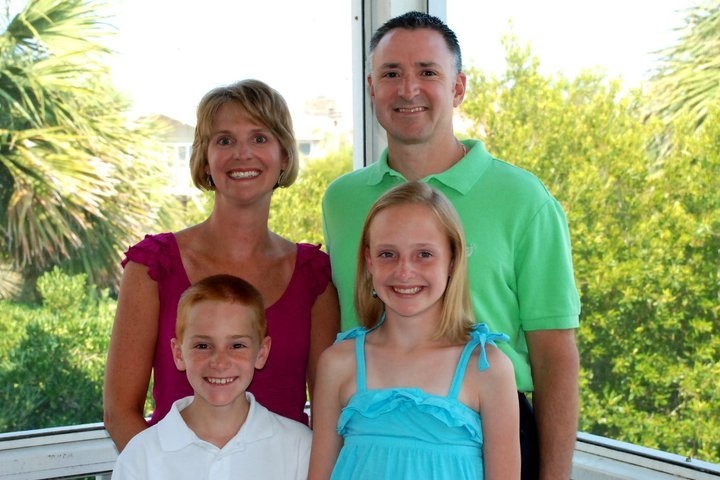 I am a swim coach and a homeschooling mom to my two kids, Mackenzie (15) and Asa (12). My goals for the race are to have a strong swim, enjoy the countryside of the bike course, and with a recent knee injury, I’ll just have to see what the run course has in store for me. Hi, I am Paul Scholz. I have been an EN member since Dec 2010 and this race is my 50th birthday present to myself. I raced “competitively” more-or-less full time from 1986-1998 (over 120 multi-sport events and at least as many road races). 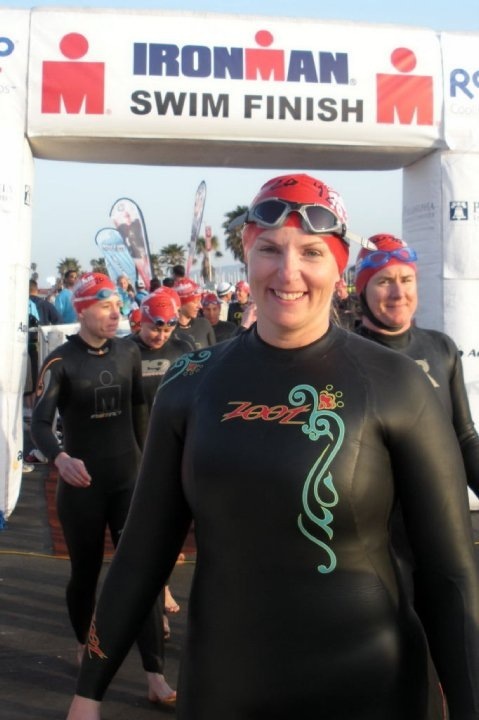 My last Ironman® was in 1998 and I then I had a hiatus until 2010 from long course, to have three knee surgeries, a shoulder surgery, and raise three daughters — through which I coached their various soccer and swim teams. I have been married to Debbie for 23 years and we have three daughters Stephanie (21), Audrey (18), and Devon (16). I am also an avid woodworker (when not in an IM cycle) and love to sing. My family is using this race as an excuse to see the mountain west and I am using it to prove I can do long course without causing any structural problems and have a blast doing it. Have gained a lot of knowledge and managed to get back into long course shape with the help of EN and all the forum buds. Kurt Andersen. This will be my third ironman. My first was IMLOU, then AZ. I dnf’ed AZ. My run fell apart after about thirteen miles and I didn’t do the third loop. I’m feeling good about this race. My running is going well, better than in a few years. Swimming and cycling are fine. This will be my second IM training with EN. It has been a great group to be with. My wife, Jan, will also be competing. This is also her third IM. I/we are looking forward to meeting everyone. See you all soon! 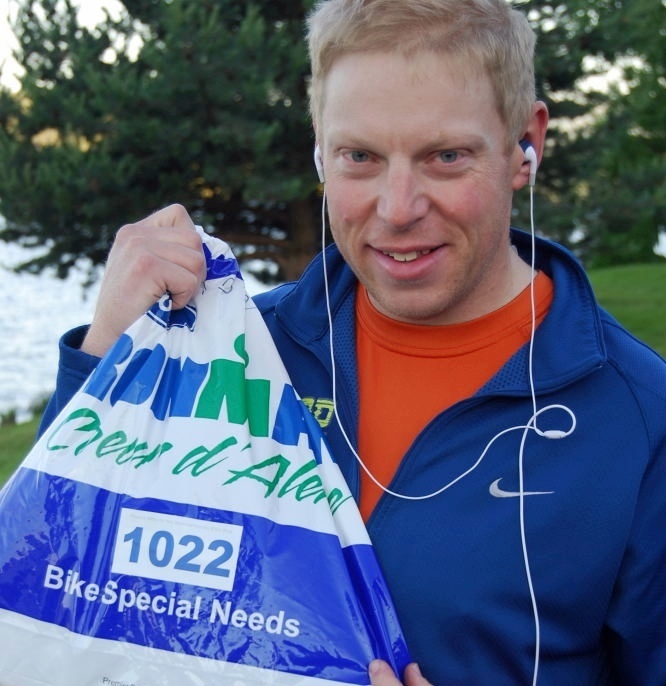 Hi, I’m Jeff Brandenburg and am doing my 8th Ironman® and 2nd trip to Coeur d’Alene. I live in Columbia, SC and am doing the race with three other local EN athletes! Hoping to use my experience to race smart and execute well this go around. My 46th birthday is Friday the 22nd so feel free to bring me a gift to the “mandatory” athlete meeting Friday…;-) Looking forward to a great day with so many EN athletes! Bart Stevens, age 34 from tiny Kerrville, TX in the heart of the beautiful Texas Hill Country. 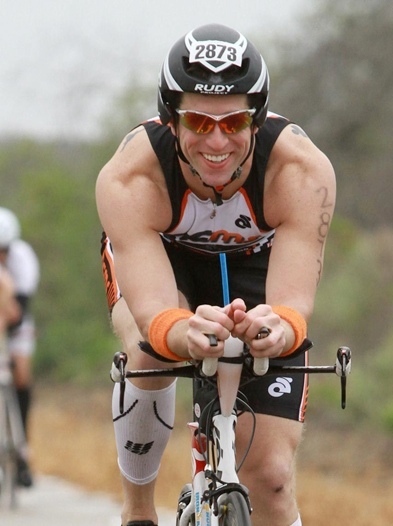 This will be my 2nd full Ironman® (Texas 2011), and my first as a member of EN. I have enjoyed the Kool-Aid immensely, and believe that Jesus would have trained with power had ANT+ existed back in the day. I spend the bulk of my working hours dreaming of neoprene rubber, carbon fiber and whether that restraining order from Chrissie Wellington against me would really stand up in a court of law. My therapist claims I have a dangerous addiction to GU and Perpetuem. She doesn’t know that I often mix in a little Optygen HP on Saturday nights if the mood is right. Needless to stay, I’m still single. Mom worries, but she could never understand the joy of fartleks. My dependency started with an innocent sprint in 2009, and it’s been all downhill (literally) since then. I was fully content with Olympic circuit until getting talked into Texas b/c “It’s in our backyard, man. It’s the first year! And it will sell out this weekend!” I woke up that next morning thinking, “Uh, WTF did I just do? And where did that $600 for the mortgage go? And should I do a half first?” Whatever. Since then, I’ve become a full-on endurance sport junkie, requiring regular transfusions of HIM/IM distance just to keep on livin’. So just pump it into the largest vein and nobody gets hurt. IM CDA can’t get here soon enough! Hello teammates! I’m Mike and I’m 42 years old and hail from Vancouver (not BC), Washington (not DC). 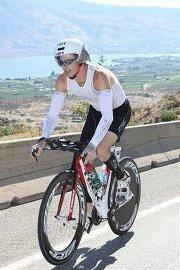 Coeur d’Alene will be my 2nd Ironman® as I did Coeur d’Alene in 2010 (15:32). I have had quite an amazing journey the past 4 years. 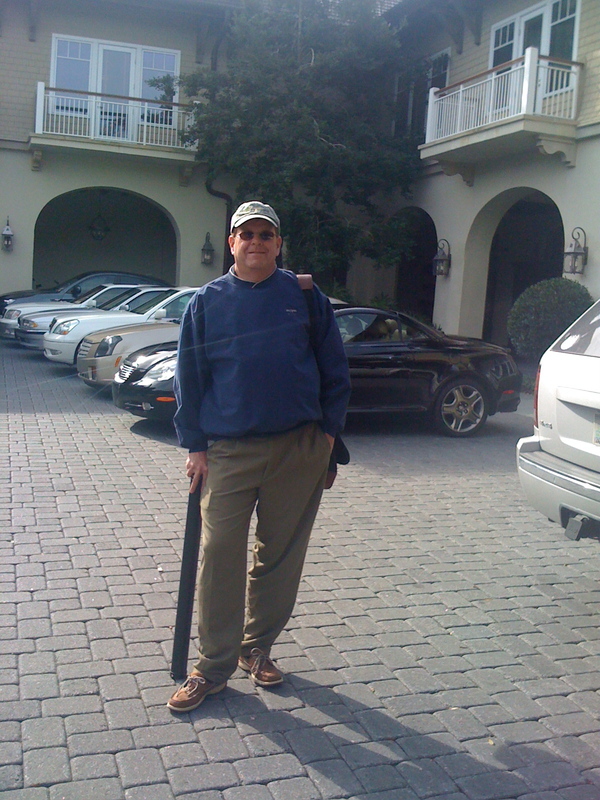 I was over 320 pounds and a total couch potato, I was having serious health problems and my doctor said if I didn’t make some changes then I was certainly going to die an early death. I had gastric bypass surgery in August 2008 and shortly thereafter, my sister Gretchen [Worthley-Ruff], got me out walking and then eventually running. 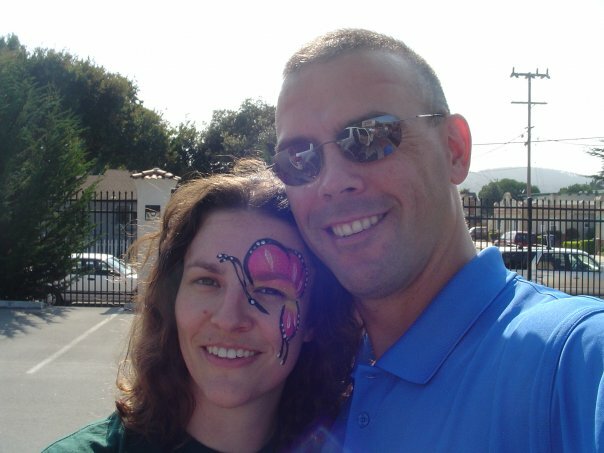 She was there for me practically every step of the way and took me to my first sprint triathlon in June 2009. I was hooked! I since then surpassed her and went on to complete 3 marathons and an Ironman, but for 2012, my sis will be here with me at the starting line and on her very own Ironman® journey. And as a fellow ENer we will tackle this course together–brother and sister! Yasko Howell – This is Ironman® #5 (IM AZ, IM Japan, IM Lou, IM Regensburg). I am originally from Japan, grew up being pretty active with downhill ski, lots of hiking/climbing, and 6 yrs of gymnastics. 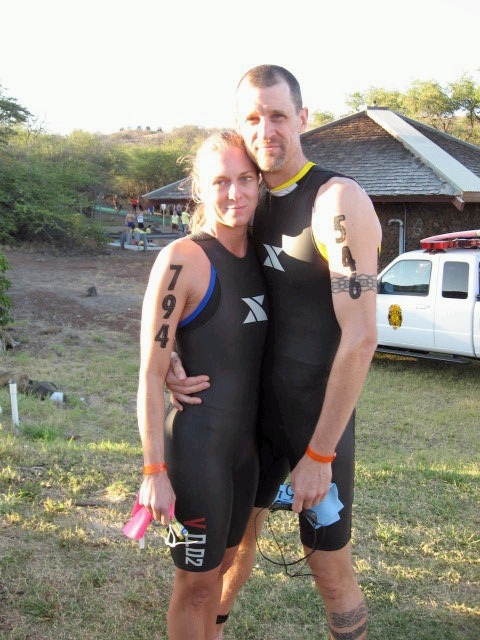 My husband and I have been doing tri races since 2001, and for us, IM training/races is a way of life, and we enjoy the journey together in the beautiful Pacific NW. Both of us work for the same high-tech company, so we are fortunate to train together at lunch time sometimes in addition to weekends’ training. I feel blessed to be healthy and strong to be able to train and race, and enjoy all the people we meet along the way. I hope we are showing many good/positive aspects of what triathlon brings to our life to our 14 yr old daughter. (She is a competitive swimmer, and does triathlon occasionally). Our goal is to maintain our health and do at least 1 IM race in each continent. We have our eyes on doing IM Cozumel, IM Brazil, IM S. Africa and IM W. Australia in the future. My goal for this race is to stick with the EN plan regardless of any weather/conditions we might be in and execute! I can’t wait to see Coach Rich and all other EN’ers. Howdy. Robin Sarner here. 46 yo male. 6 foot 6 inches and 185 pounds so easy to pick me out on the course. CDA will be the fifth Iron. From Maui originally. Hope to get to Kona someday. Wife Lisa Watson racing too. We live in Tacoma, Washington. I do family physicianing. My name is George Smith and this is my first Ironman! I am 44 years old and have been married for 19 years. We have a daughter, Bailey (14) and a son, Tyler (10) that keeps us both very busy. I am a Pharmacist, specializing in Critical Care medicine. I started running in 2009 and the progression into multi-sport training just emerged from there. I am still a rookie and have really enjoyed my journey. I am truly blessed. My goal for CdA is to finish with a smile and have fun. My name is Terry Olivas and I’m a 40-year-old heart surgeon from Anchorage, Alaska. 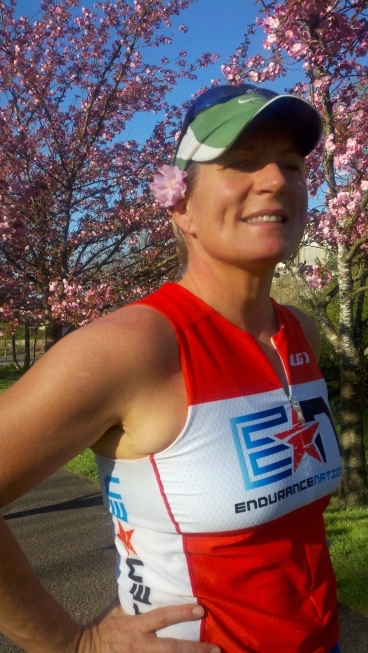 I have been with Endurance Nation for 3 years. This is going to be my third ironman. I’m racing alongside my sister-in-law for her first ironman. With a long, difficult training year in which I was indoors for nearly all of the last 7 months, I am hoping to just have a fun race. As always, I’ll be joined by my awesome wife, Peggy, and many family and friends who are making the trip. I’m Brett Prince, I live in Pittsburgh, PA with my wife, Beth, and our two dogs (whom thanks to EN I can now handily outrun). I’m looking forward to making Coeur d’Alene my first full Ironman. I completed my first 70.3® in 2009, my second in 2011 and decided to step up to the full distance this year, racing just 3 days before I turn 36. My goal for this race is to finish and have fun, although I always hope to finish races in the top 50% of my age-group. After supporting months of my crazy training schedule and obsession with reading everything posted on the EN website, Beth will be at the race along with my parents who will also be making the trip to CDA. Hi, I’m Gretchen Ruff. I’m a 40 year old, married with kids, ER nurse who has always loved to challenge myself. I got into triathlon 12 years ago doing 1-2 sprints per year. After finally getting my brother Mike Rudolph, a fellow EN’er and Coeur d’Alene participant, interested and healthy enough, he joined me and caught the bug also. 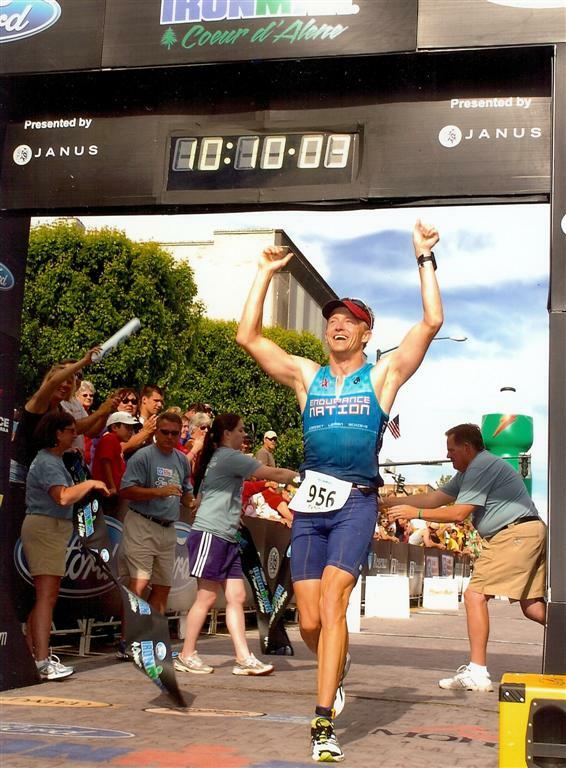 In 2010, we completed California 70.3® and then he went on to do Coeur d’Alene almost 3 months to the day later. Wait a minute!! He can’t surpass me! Well he has and I’m darn proud of him! Now he has taught me so much about the sport and is a fantastic example of discipline and organization. I’m so proud to be doing this race with my brother with the rest of our family cheering us on! This is the hardest thing I’ve ever done….so far! I will be an Ironman! So watch out for me on June 24! Bib # 541! It may take me every bit of 17 hours, but I will finish! Hi, my name is Roy Ezell and I’m a husband and proud father of three (two sons and a daughter). I live in Woodbridge, Va, just south of Washington, D.C. and have been a Marine for the last 21 years. This will be my second iron distance event and my goals are to make good decisions during the day and execute to my potential. 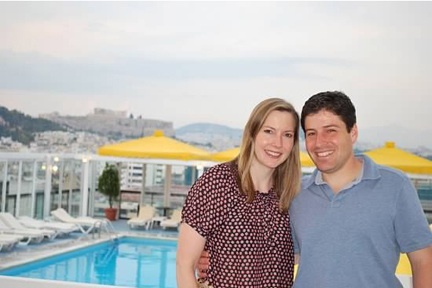 I will have my wife (the wonderful supporter that she is) on the sidelines at the race, mainly telling me to “Pick it up!” Looking forward meeting the rest of the EN team and enjoying the day and its challenges. Hi, I’m Todd Mellinger, married with 1 boy age 8, 1 girl age 3. I’ve been racing ironman for quite a while, this will be my 15th ironman and 4th Coeur d’Alene. On my last trip here I was lucky enough to qualify for Kona, and enjoyed a fun race seeing both Coaches racing on this course. I was diagnosed with cardiovascular disease after suffering a heart attack 3 years ago(8 months after kona), but was lucky enough to get thru it relatively injury free for the long term. I am back to racing again and things are looking as good as ever, looking forward to a good race, for many reasons. Wishing everyone the best race possible, good luck and race smart. 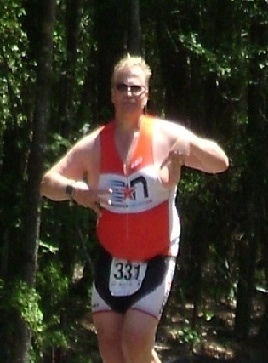 A Triathlete since 2009, and EN member since Sept 2011. 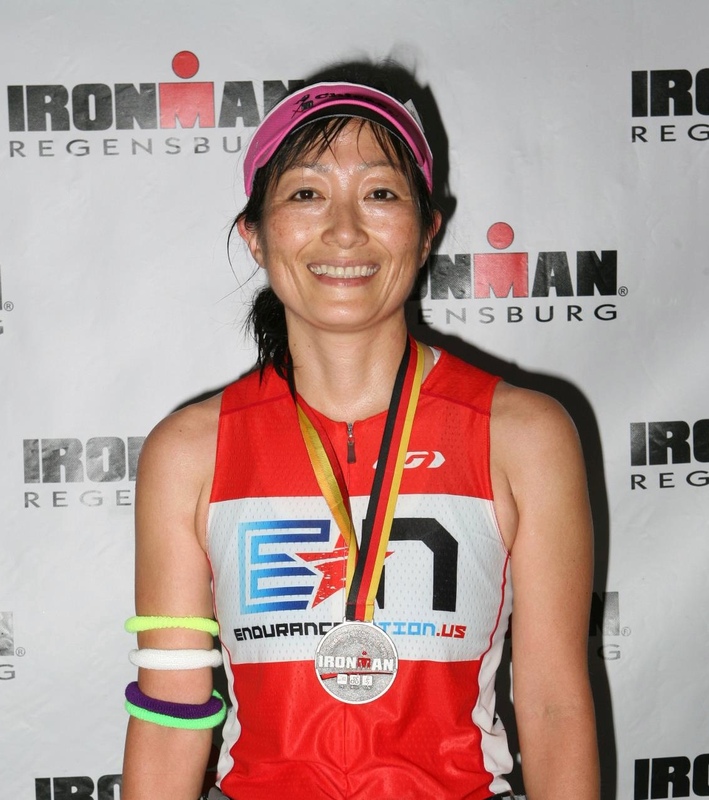 Having always wanting to take on the challenge of a Ironman® distance. I learned of a group from Columbia SC that were participating and I thought , ” What better way to start one’s retirement years off”! Beat”s going to work! I’m Mike Bennett from Reston, VA. I’m married with two girls, 12 and 9. This will be my second IM and my first season with EN. 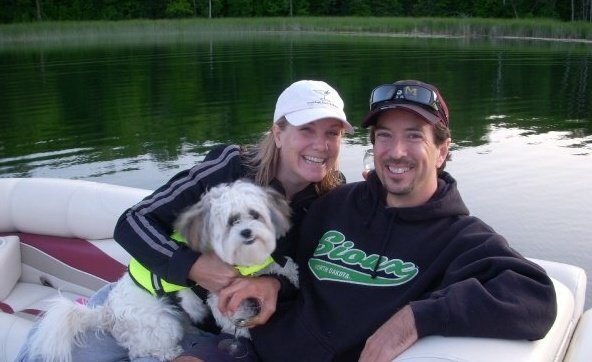 I completed Lake Placid in 2010. I set a 10 minute PR in May this year at the Kinetic Half Iron at Lake Anna, VA. Looking forward to Coeur d’Alene. I am trying to convince myself that I like my lake water cold. I do. Want To Learn More About Team EN? Take one of our five FREE Triathlon Email Seminars: Short Course, Beginner, Half Iron, Ironman, OutSeason. Click here to find your seminar. You can also become a Fan of Endurance Nation on Facebook. Create a FREE five-day trial to check out everything Endurance Nation has to offer. From 20+ training plans to over 500 pages of resources, from 100+ daily forum posts to our weekly coach chat sessions, there’s something for every triathlete! What an Awesome group! Everyone seems primed, and you each have your own particular goals. Feed off each others’ energy. I envy you guys, and I’m *almost* sorry I’m not there for the race, but 9 in a row was enough. I was so blessed to be able to host my uncle James Barrett for IRONMAN 2012 COEUR D ALENE! I also shoot in my free time and was able to capture some amazing photo’s of the team!!! I will post on Sunnyside Photography or my personal fb site! Feel free EN to copy! I will be hosting again next year and I will be looking for YOU!!! Thank you for all the inspiration and dedication to the sport, yourselves, and family! Thanks Tamira, please let us know when the photos are live!